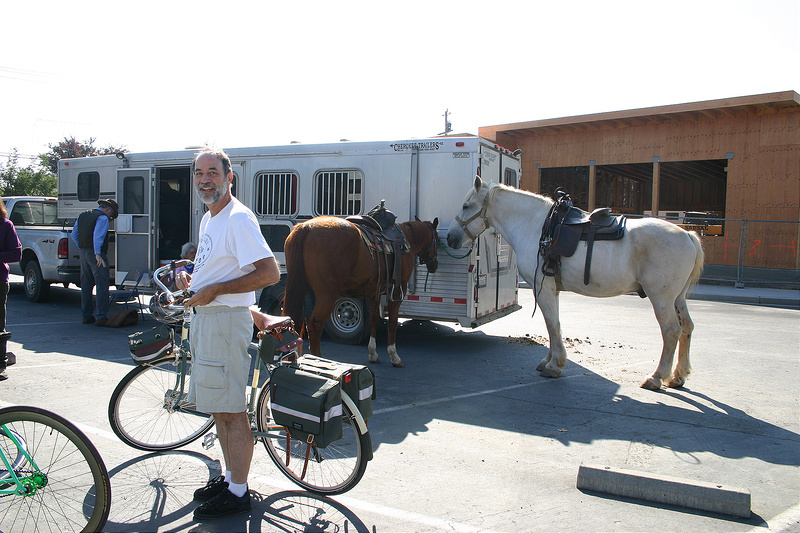 The fourth and final day of the pilot ride began not with horses but with cyclists. 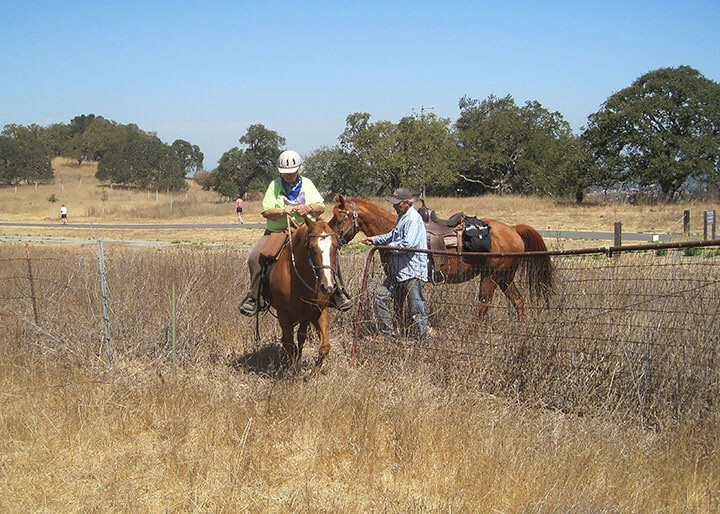 The cities of Los Gatos and Campbell were not able to grant us the right to take the horses on the Los Gatos Creek Trail (normally reserved for cyclists and pedestrians), so John and Jack Marshall stepped up to fill the gap on their bikes. 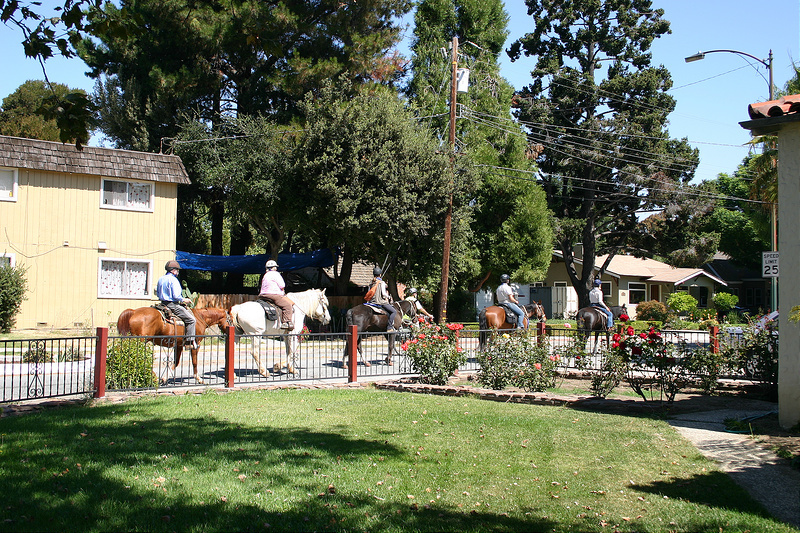 They met up with the horses just on the other side of the San Jose city line and handed off the mailbags to the riders. 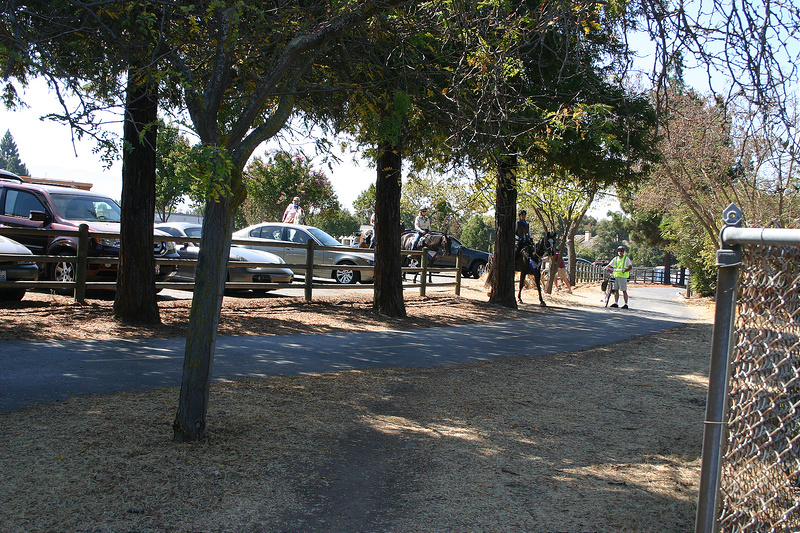 The riders continued on the Los Gatos creek trail. 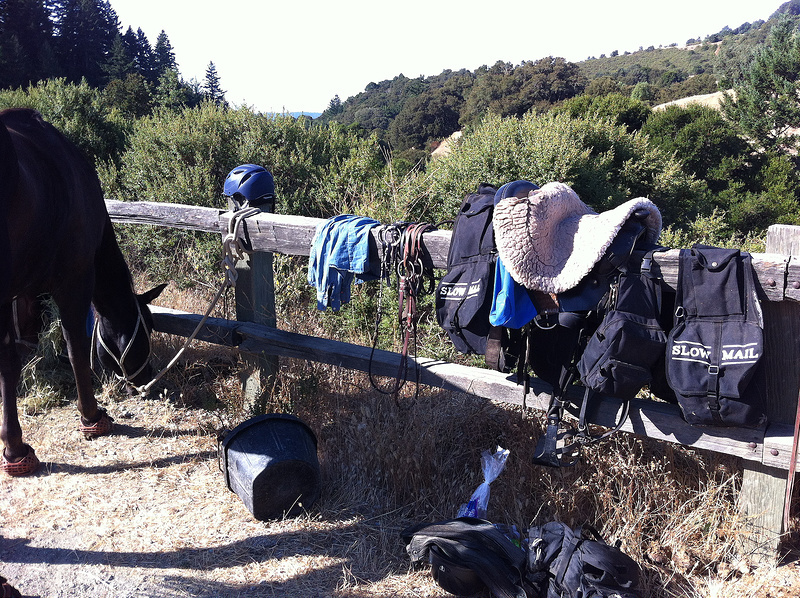 As I mentioned, the trail is popular with local cyclists – but – bikes and horses don't mix very well. To keep make sure that the horses didn't spook to badly, Gabe and Jack rode ahead and behind to warn cross-traffic to stay slow and steady when passing the group. The trail ended a few miles shy of downtown and the riders emerged onto the city streets. 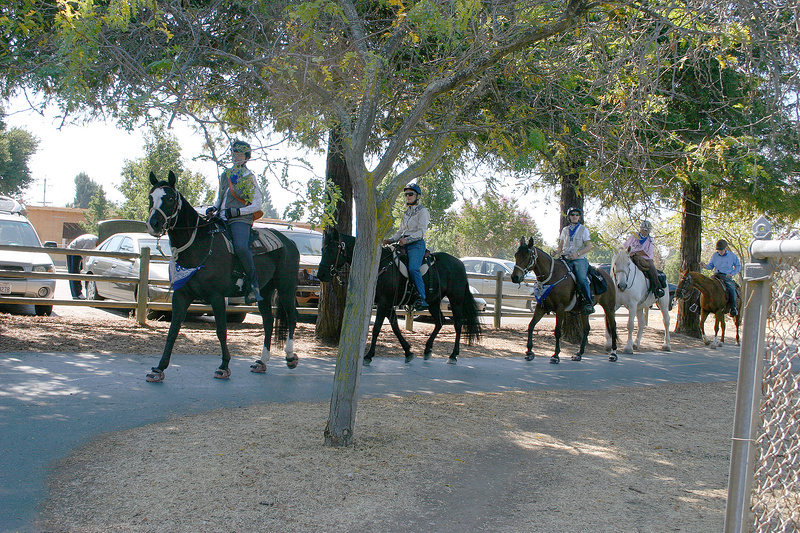 Some of the group had parade experience, but for many horses and riders, this was their first time contending with the flow of cars and traffic lights. 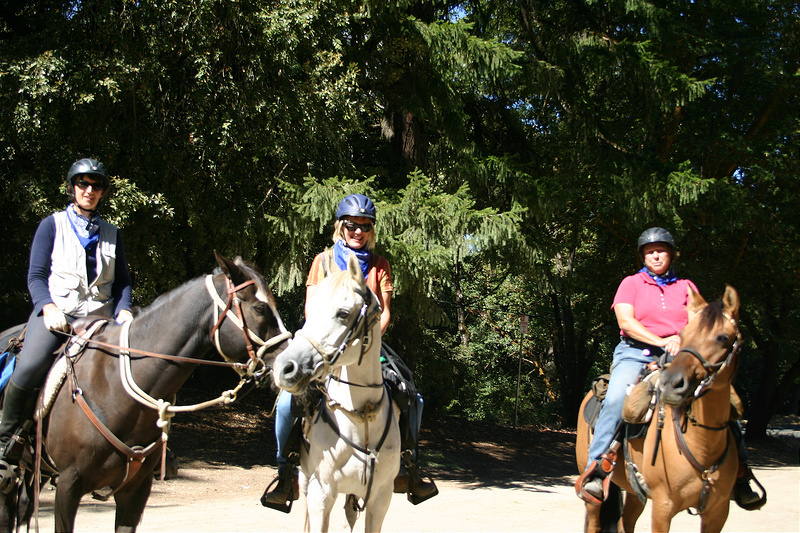 Fortunately all of the group did really well in their new surroundings and the ride continued without mishap. 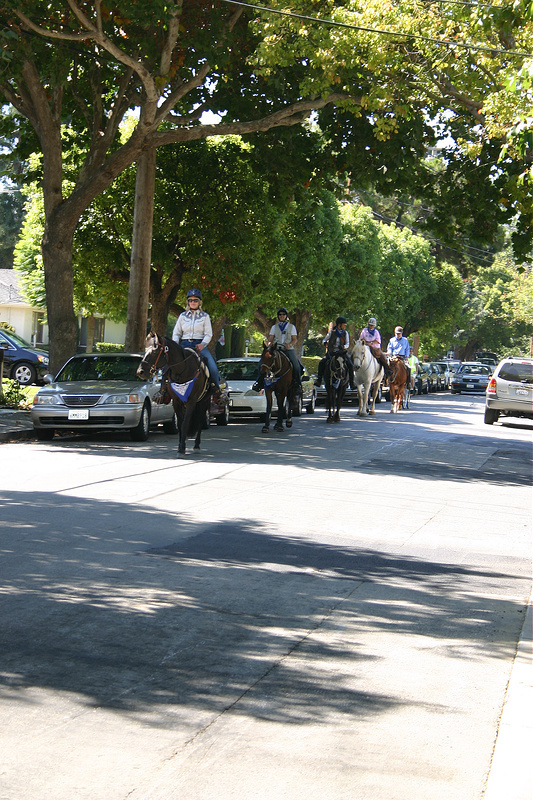 The horses, walking through the neighborhood streets, were such an unexpectedly festive event. 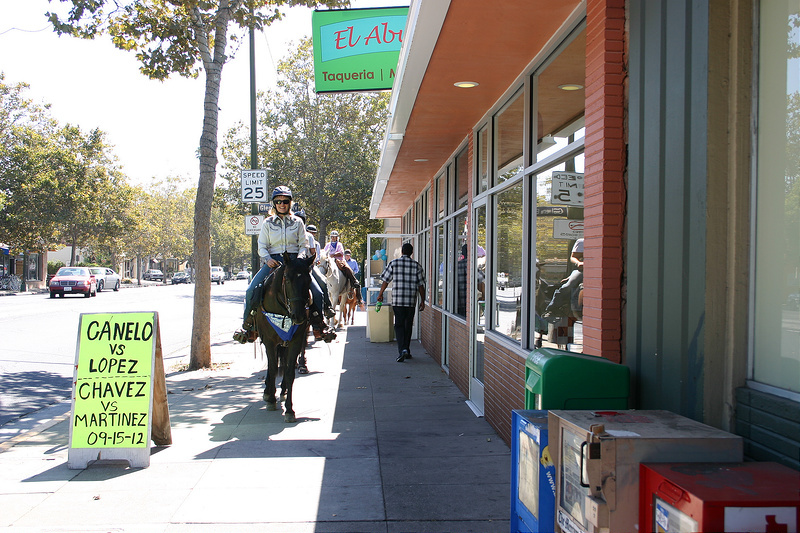 It was amazing to see the way that the urban neighborhoods reacted to the horses. Kids and adults alike ran out of houses, paused on trampolines, looked up from laundromats, and waved from coffee shops. It was a joyous moment for the riders and bystanders – turning the end of the trail into a celebration. Passing into downtown, the riders were faced with their most urban experience yet – a freeway overpass followed by an underpass. 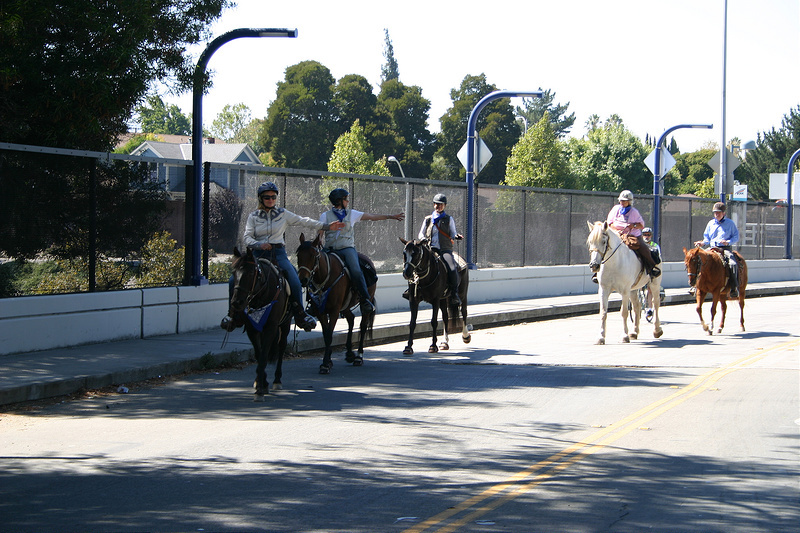 Several of the horses didn't quite know what to make of the freeway. On the overpass they could hear the cars underneath them, but couldn't see them. 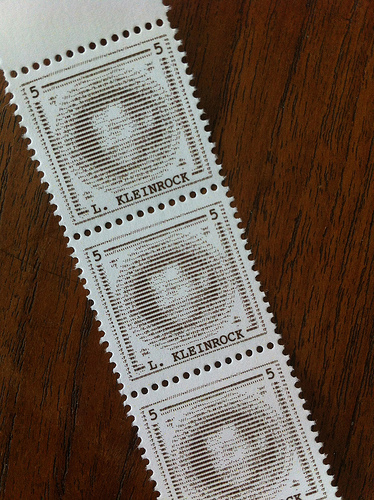 With those obstacles accomplished, the Mail Call location and eager letter recipients were just a few blocks away. 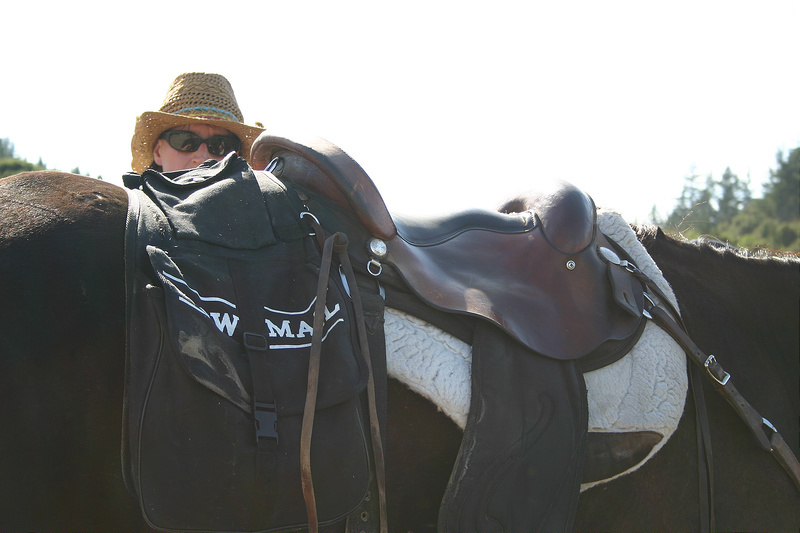 At the Mail Call, Magda, who rode all four days of the Pilot Ride spoke briefly about the journey. Sara and Barbara called out the recipients' names from the stage. 48 miles and four days on the trail later, the Pilot Ride letters were claimed. 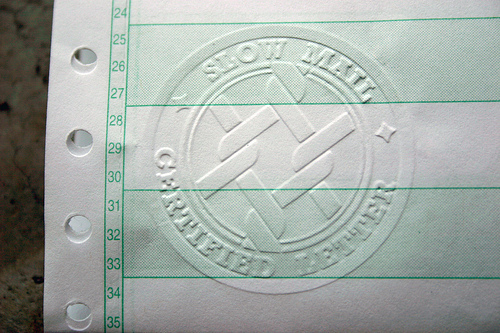 More photos from Day 4 on the Slow Mail Flickr. The third day of the Pilot Ride was unexpectedly long. 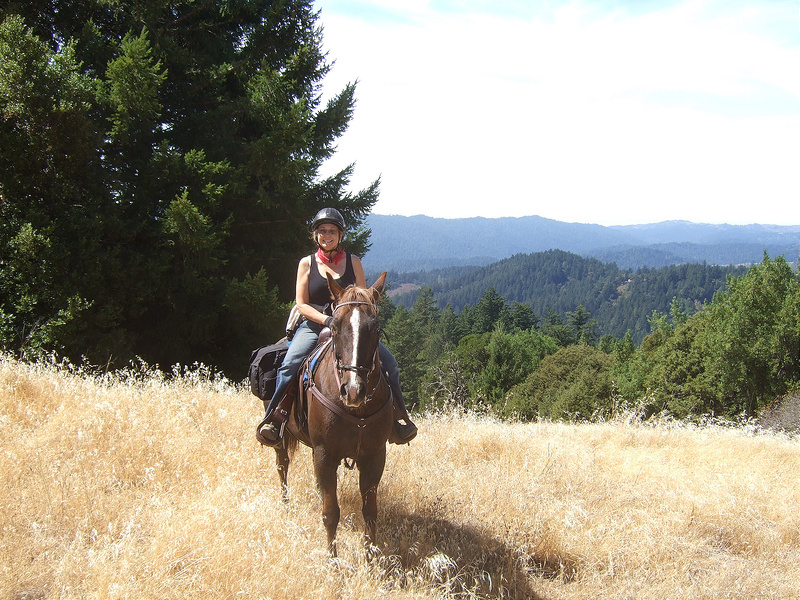 Riders traveled to the end of the Skyline Ridge trail and started their descent through the redwoods of Sanborn Skyline County Park. The riders contended with some enormous downed trees, requiring some on-the-hoof route changes. Milage on many of the Sanborn trails and their connections to the fire roads for the second part of the ride were poorly marked contributing to a much-longer than planned ride. Fortunately, all of the riders and their mounts were entirely up for the challenge. 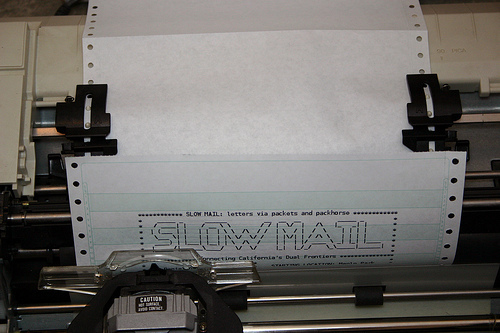 More photos from Day 3 on the Slow Mail Flickr. 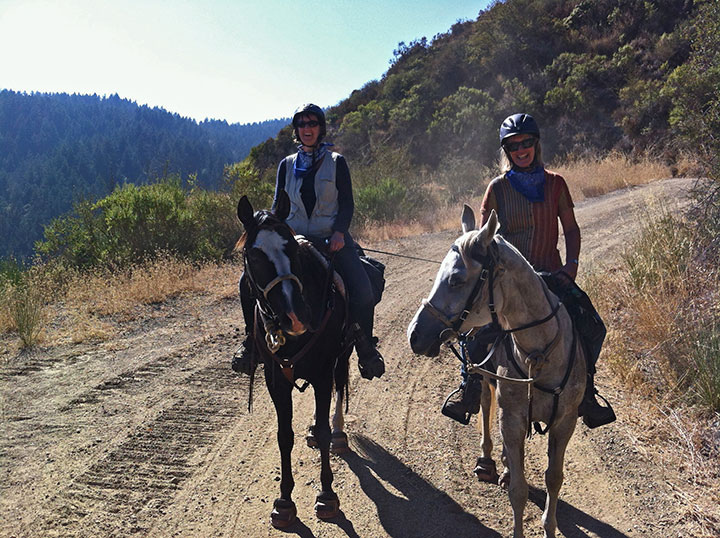 After the logistics involved getting the first day's group of nine riders through the suburban streets of Palo Alto and Portola Valley, the second day of all backcountry trails seemed positively easy. 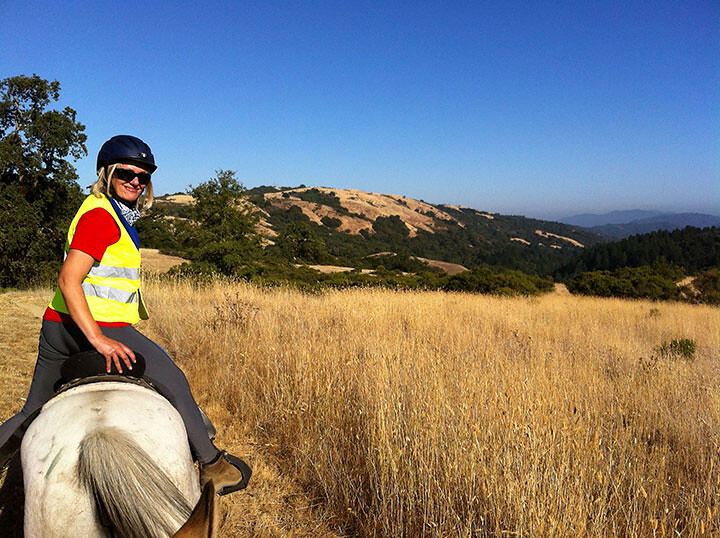 Magda and Sigrid were plenty familiar with the day's section of the Skyline Ridge trail and the fog cleared to reveal sweeping views from the ridge line. 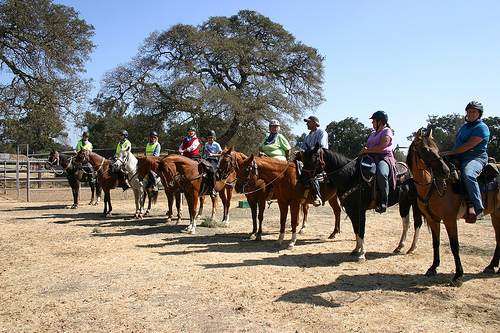 The riders passed through a variety of ecosystems, including mixed evergreen forests, oak woodlands, chaparral, and grasslands. 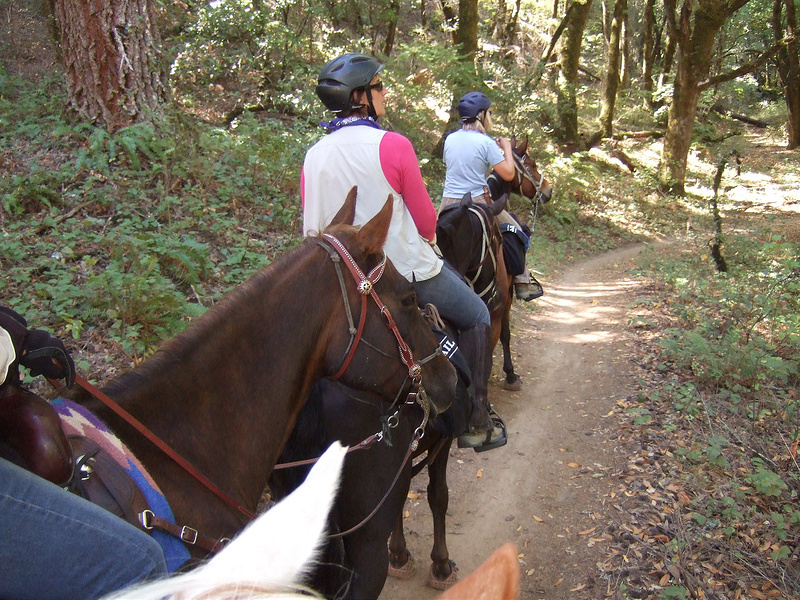 The trails were intended for horses, providing great footing, far from the hazards of the urban riding of the previous day. 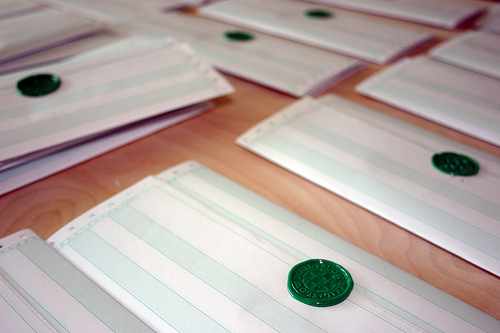 More photos from Day 2 on the Slow Mail Flickr. 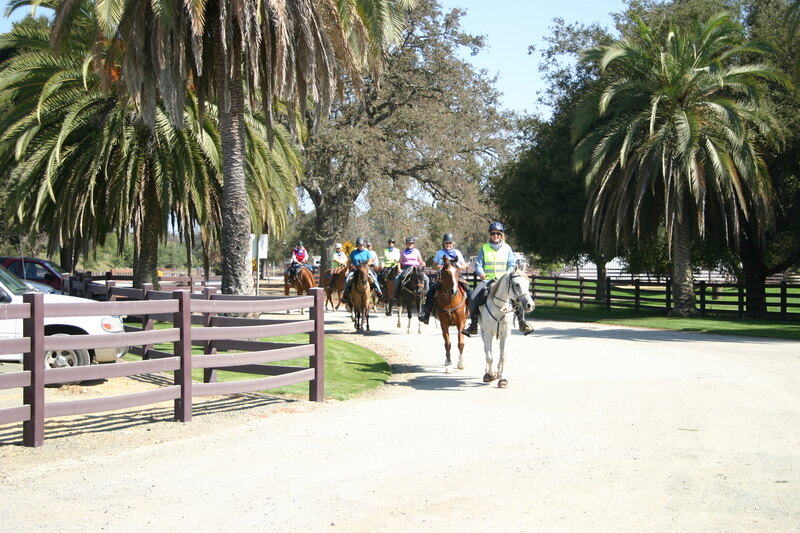 Starting from the Stanford Red Barn we had a full contingent of nine horses and riders to carry your letters along their first day's journey. The day started off a little rocky. 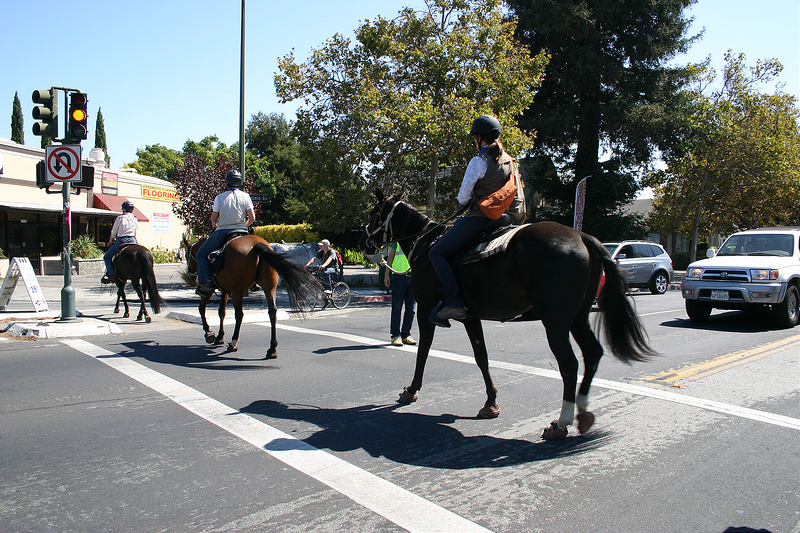 The busy streets around Stanford were as gentle as they could be, but horses + cars + asphalt never mix very well. 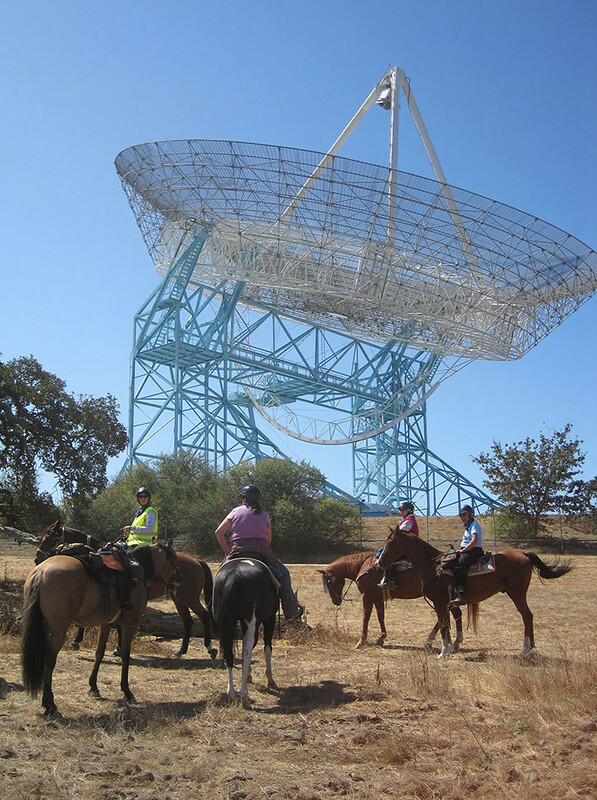 The riders did get a bit of view as they crossed the Stanford Dish Trail, but travel wasn't all that smooth there either. Just after the dish, some cattle guards interrupted the path. 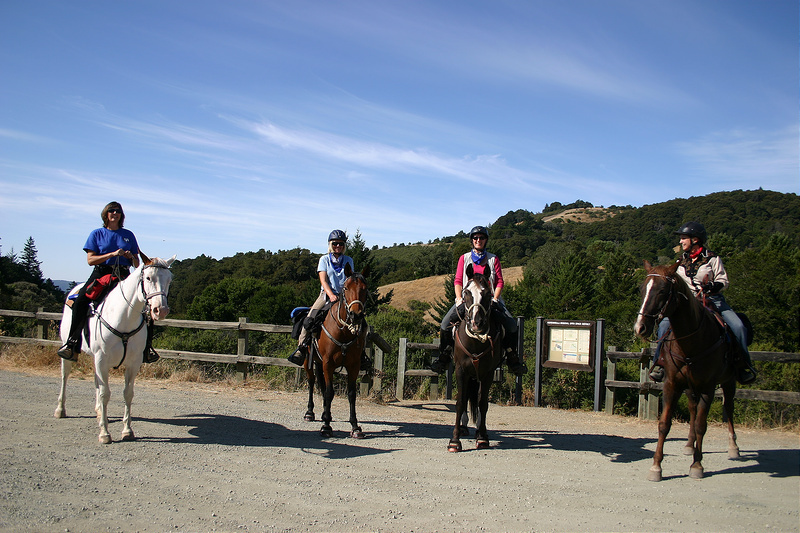 The resourceful riders found a nearby gate and got back on their way towards Alpine Road. 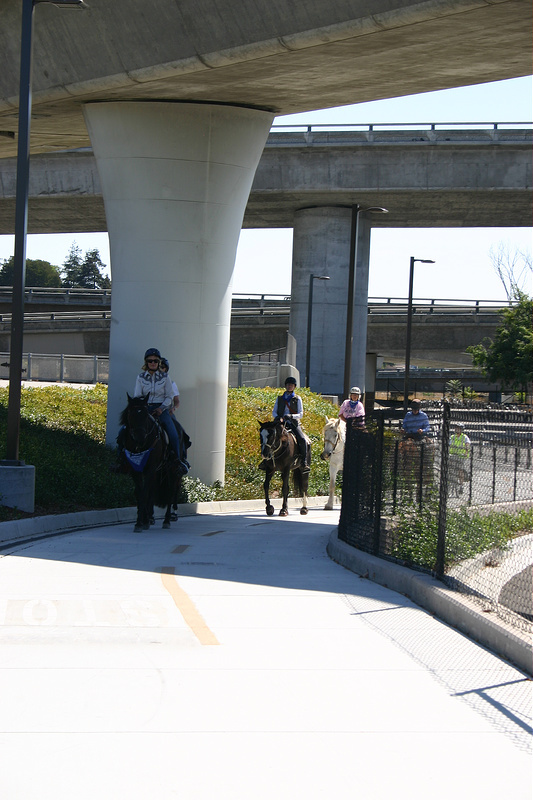 The Alpine Road Trail is an especially urban trail, so the horses were never far away from the traffic. 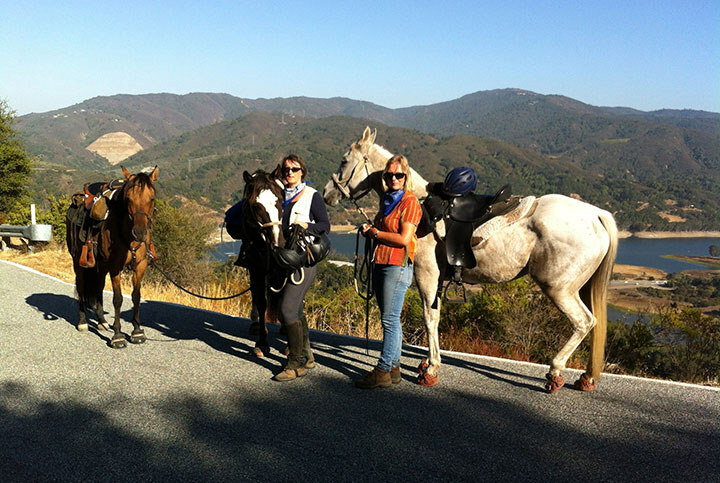 They went under the 280 overpass and proceeded past tennis courts, an elementary school, and a tree farm before finally turning away from urban life and heading into the hills towards the end of the day's journey at Skyline Ridge. 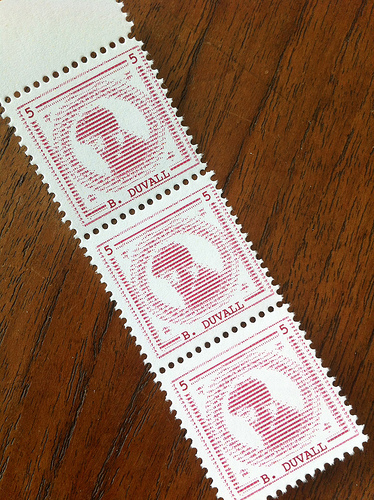 More photos from Day 1 on the Slow Mail Flickr. 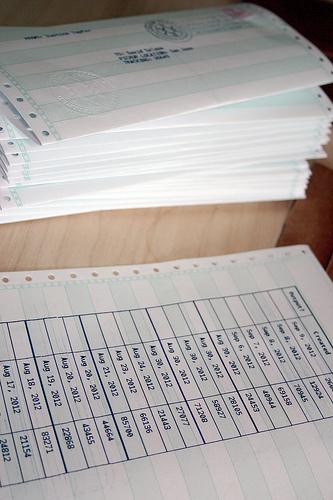 It's been a letter printing extravaganza over at the Slow Mail post office. 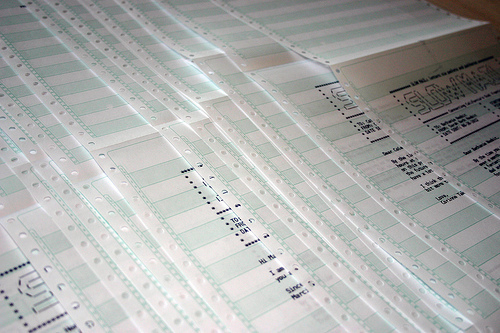 The dot matrix printer has been chugging away. If you haven't sent your letter yet, there's still time. We hit the trail bright and early the morning of September 12th, so be sure to get your letter in the day before. 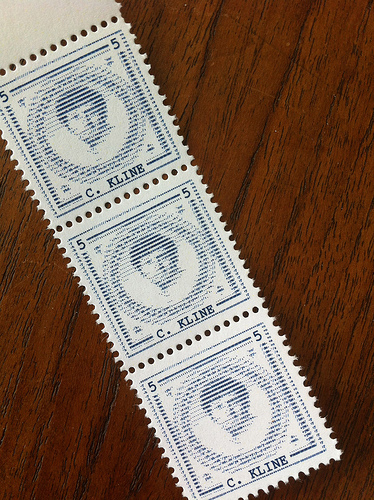 Introducing the first seven Slow Mail stamps ever issued. 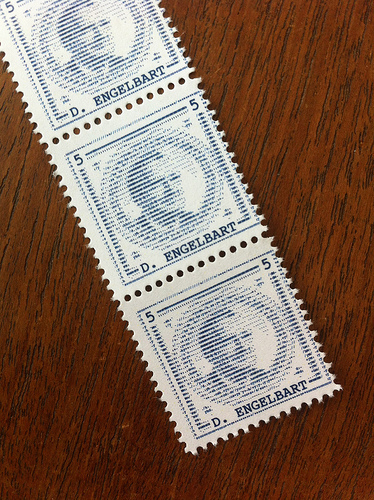 Each stamp features one of the ARPANET pioneers working at either UCLA or SRI in the labs responsible for that historic first message sent over what is now our internet: Leonard Kleinrock, Bill Duvall, Charley Kline, Douglas Engelbart, Vinton Cerf, Elizabeth "Jake" Feinler, and Jon Postel. There were many more people responsible for making that first message possible including all of the smart folk working at BBN who built the IMP (the first router) that made ARPANET possible. 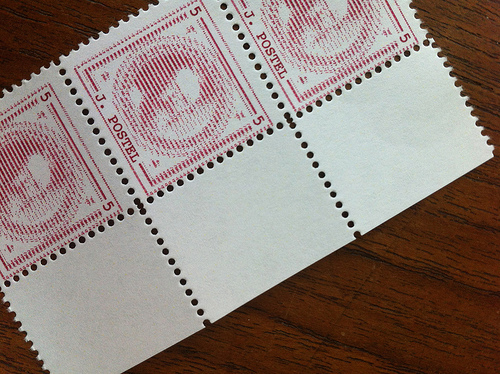 The stamps are printed on dry-gummed paper (the kind you lick). 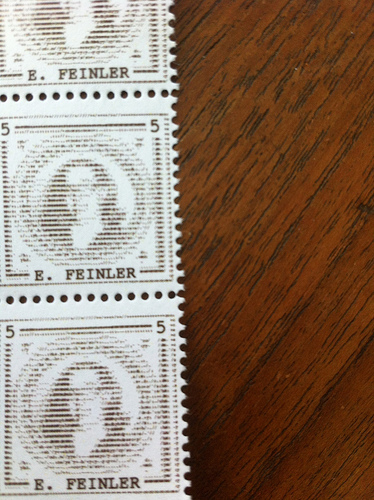 The portraits are in the style of early American postage, but are composed of ASCII instead of the etched lines typical of artwork on these stamps. Charley Kline, sender of the first internet message. 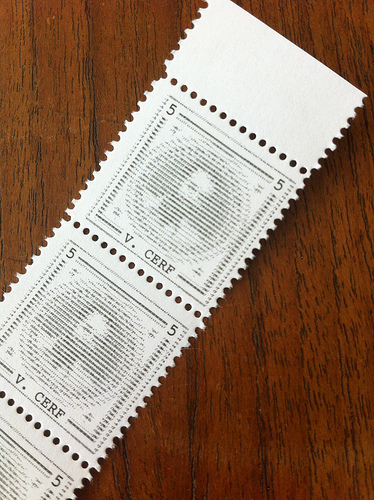 Vew all of the stamps in full color.